The Chairman of the Nigerian Bar Association NBA Ilorin branch, Barrister Mansuma Issa has suggested that capital punishment be introduced in the entire African nation, Nigeria inclusive to stem the tide of graft and brazen looting of public funds. According to him, countries like Singapore, China, Taiwan, Vietnam and South Korea who deployed death penalty to curb corruption had succeeded in fighting corruption. Barrister Mansuma gave the suggestion in Ilorin the kwara State capital while fielding questions from newsmen. The NBA chairman noted that corruption has become so endemic in Africa and said the association is in support of the corruption war being fought by the President Muhammadu Buhari’s administration emphasising that capital punishment is most appropriate for African countries. He lamented that funds that should ordinarily be spent on the Health ,Education, Agricultural sectors and to fight terrorism are being diverted to individual pockets stating that offenders either caught for capital or simple offenses should be treated in accordance with the law. Answering another question, Barrister Mansuma disclosed that the Nigerian judiciary was still operating in the pre-independence era and in colonial courts where judges still write in long hands which is very stressful and therefore appealed to the Federal and State governments to provide the judiciary with verbatim recording machines to ease their assignments. 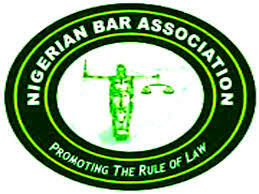 The NBA chairman rated Nigerian judges as still far better compared with some other units in the country but admitted that there might be some few cases of corrupt judicial officers which according to him, the disciplinary committee of the association is handling with all seriousness and those found guilty would be dealt with accordingly. According to him, there is nothing wrong with the 1979 constitution adding that areas that needed to be modified from time to time are the laws of the principles of federalism and the control of resources explaining that there is nowhere in the world where there is a perfect constitution but rather a workable constitution . Barrister Mansuma said the greatest challenge facing the NBA today are allegations of diversion of clients funds by some of their members and warned that anyone reported to the association, such petition would be forwarded to the national disciplinary committee for trial for such fraudulent practice. He described the condition of Nigerian prisons as embarrassing and dehumanizing and said inmates are been treated as enemies of the people and therefore enjoined the government to improve the condition of the prisons which he said, ordinarily, should serve as reformatory homes. The NBA chairman described the quality of some young lawyers being churned out from various institutions of higher learning as a reflection of the standard of education which has declined across the country adding that the low academic quality is not peculiar to lawyers alone but other professional bodies and called for improvement in our educational standard and system.